Screening as part of the Dare strand at London Film Festival, this modern day Swedish fairy tale provokes and surprises. 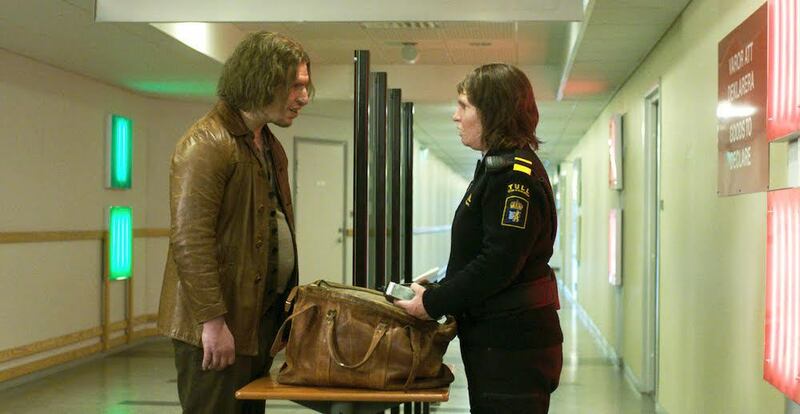 Tina (Eva Melander) is a Swedish customs officer with an exceptional nose for sniffing out the guilty and suspicious as they arrive on the ferry. Outside of her work she remains mostly isolated, with her extremely different looks marking her out as not the same as most people. Then one day she encounters Vore (Eero Milonoff), someone very much like her, and she begins to discover more about her own true nature. The film is based on a short story by Swedish writer John Ajvide Lidqvist, who also wrote Let the Right One In. To say more would be to give too much away, and it’s definitely best to go into this film as I did, knowing nothing about it. Bordertakes a sideways look at modern society through Tina’s experiences, and questions ‘normal’ perceptions of race, gender, sexuality and the borders between them in a highly unusual and unexpected manner. It’s certainly an innovative approach to these themes by director Ali Abbasi and if you like the unexpected, then this may worth spending some time with.